Salt Cone w/ Holder | Patio and Hearth Co.
Cook your chicken from the inside out, while flavoring it with the rich taste of Himalayan salt! This cone and holder set harnesses the cooking power of solid salt: by preheating your cone and then placing your chicken over it, the heat retained by the cone will help to cook your chicken, all while imparting a subtle, salty flavor. Whether on the grill or in the oven, your chicken will cook faster than with a traditional rack. Himalayan salt is rich in trace minerals, which adds to the depth of flavor your foods will achieve when cooked on the cone. It also uses less salt than when using ground table salt. 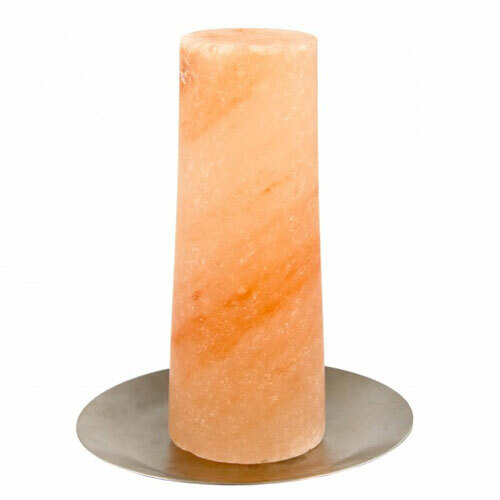 Himalayan salt cones have naturally low moisture contents, which allow them to be heated to extreme temperatures and to retain that heat for a long time. Inquire about Salt Cone w/ Holder using the form below.